For the restaurant, see Earl of Sandwich (restaurant). For the First Lord of the Admiralty (and eponymous inventor of the sandwich), see John Montagu, 4th Earl of Sandwich. Earl of Sandwich is a noble title in the Peerage of England and the House of Montagu, nominally associated with Sandwich, Kent. It was created in 1660 for the prominent naval commander Admiral Sir Edward Montagu. He was made Baron Montagu, of St Neots in the County of Huntingdon, and Viscount Hinchingbrooke, at the same time, also in the Peerage of England. The viscountcy is used as the courtesy title by the heir apparent to the earldom. A member of the prominent Montagu family, Lord Sandwich was the son of Sir Sidney Montagu, youngest brother of Henry Montagu, 1st Earl of Manchester (from whom the Dukes of Manchester descend), and Edward Montagu, 1st Baron Montagu of Boughton (from whom the Dukes of Montagu descended). Quarterly, first and fourth, Argent, three lozenges conjoined in fess Gules, within a border Sable; for Montagu. Second and third, Or, an eagle displayed Vert, beaked and membered Gules; for Monthermer. He was succeeded by his son, the second Earl. He briefly represented Dover in the House of Commons and served as Ambassador to Portugal and as Lord Lieutenant of Huntingdonshire and Cambridgeshire. 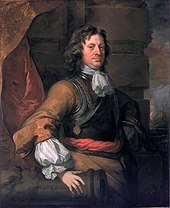 The second Earl's great-grandson was The 4th Earl of Sandwich, who was a prominent statesman and served as First Lord of the Admiralty and as Secretary of State for the Northern Department. Lord Sandwich is also remembered for sponsoring the voyages of discovery made by Captain James Cook, R.N., who named the Sandwich Islands in his honour, and as the namesake of the sandwich. He was succeeded by his son, the fifth Earl. He sat as Member of Parliament for Brackley and Huntingdonshire and served as Vice-Chamberlain of the Household and as Master of the Buckhounds. His son, the sixth Earl, also represented Huntingdonshire in Parliament. He was succeeded by his son, the seventh Earl. He held office in the first two Conservative administrations of the Earl of Derby as Captain of the Honourable Corps of Gentlemen-at-Arms and Master of the Buckhounds and was also Lord Lieutenant of Huntingdonshire. His eldest son, the eighth Earl, represented Huntingdon in the House of Commons as a Conservative and served as Lord Lieutenant of Huntingdonshire. He was succeeded by his nephew, the ninth Earl. He was the son of Rear-Admiral the Hon. Victor Alexander Montagu, second son of the seventh Earl. Lord Sandwich was Member of Parliament for Huntingdon and Lord Lieutenant of Huntingdonshire. His son, the tenth Earl, represented South Dorset in Parliament as a Conservative from 1941 to 1962, when he succeeded his father in the earldom and had to resign his seat in the House of Commons and enter the House of Lords. He disclaimed his peerages in 1964 but never returned to the House of Commons. As of 2017[update], the titles are held by his eldest son, the eleventh Earl, who succeeded in 1995. Lord Sandwich is one of the ninety elected hereditary peers that remain in the House of Lords after the passing of the House of Lords Act 1999, and sits as a cross-bencher. The family seat is today at Mapperton in Dorset. From the 17th century until the 1960s, the family also owned Hinchingbrooke House in Huntingdonshire, from which the title Viscount Hinchingbrooke was derived. Some historical papers of the family and its Hinchingbrooke estate are held by Cambridgeshire Archives and Local Studies at the County Record Office in Huntingdon. The heir apparent is the present holder's son Luke Timothy Charles Montagu, Viscount Hinchingbrooke (b. 1969), the son of the 11th Earl of Sandwich and Lady Sandwich ((Susan) Caroline Hayman, b. July 1st 1968).. The heir apparent's heir apparent is his son, the Hon. William James Hayman Montagu (b. 2004). Julie Montagu, Viscountess Hinchingbrooke, has two children (Emma Fisher, born approx 1999, and Jack Fisher, born approx 2001) from a previous marriage. ^ De la Motte, Philip (1804). 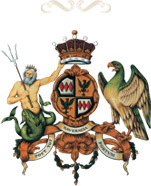 The Principal, Historical, and Allusive Arms, Borne by Families of the United Kingdom of Great Britain and Ireland, with Their Respective Authorities. J. Nichols and Son, and sold by F. and C. Rivington. p. 152. Retrieved 13 November 2016. ^ Michael Rhodes. "Hon William James Hayman Montagu" birth announced on Peerage News group on Google Groups on 7 November 2005, based on birth notice in Daily Telegraph on 6 November 2004. Retrieved 10 August 2007. Michael Rhodes. "Peerage News". Google Groups. ^ "The Flexie Foodie". theflexifoodie.blog. Retrieved 2018-04-05. ^ "5 of julie montagus simple superfood recipes". Retrieved 2018-04-05. ^ a b Lambert, Victoria (2017-09-19). "Meet Julie Montagu, future Countess of Sandwich and all-American guru of healthy living". The Telegraph. ISSN 0307-1235. Retrieved 2018-04-05. ^ "Person Page". www.thepeerage.com. Retrieved 2018-04-05. Kidd, Charles; Williamson, David (1990). Debrett's Peerage and Baronetage. London and New York: St Martin's Press. Mosley, Charles (2003). Burke's Peerage and Baronetage (107th ed.). ISBN 0-9711966-2-1. Lundy, Darryl. "The British peerage".